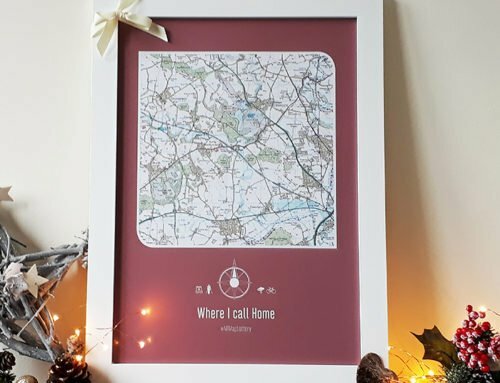 Treat yourself with our range of Framed Maps! 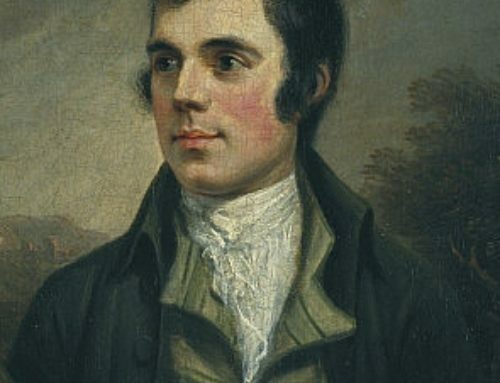 Here at Maps International, we’ve got a wide selection of different framed maps that would male a perfect gift or a little treat to yourself. 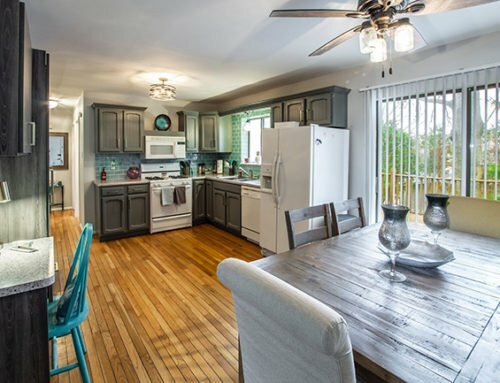 In this blog, we will take you through 5 products that we think would look stunning in your home. This is also a little teaser about some of the products we will have on sale on Black Friday through to Cyber Monday. This means you can find some great deals in the run up to Christmas! 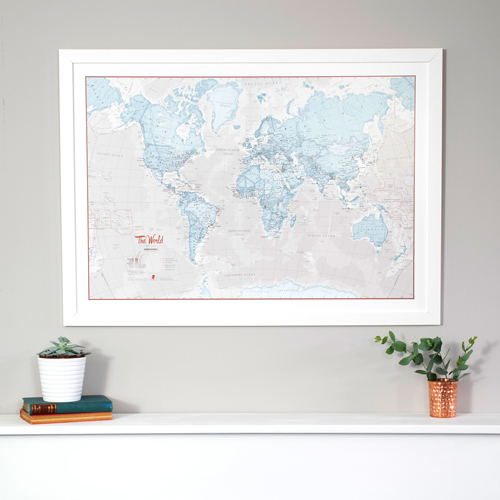 Our World is Art range of framed maps make a perfect gift for a traveller. 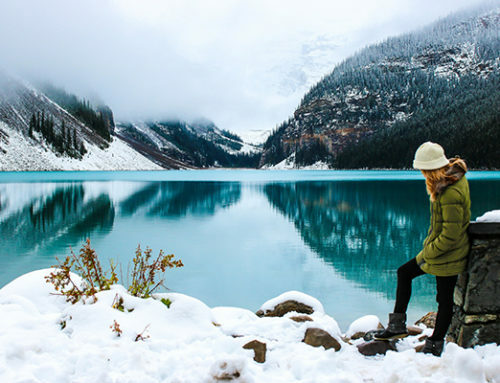 It is one of the best ways to reminisce about previous travels, and even plan future adventures! The map comes in 6 different colours so you can fit it into many different colour schemes. The World is Art range comes laminated and board mounted or a white wooden frame. The map also comes in sizes from A2–A0 and additional pins and tags can be purchased to mark your trips. 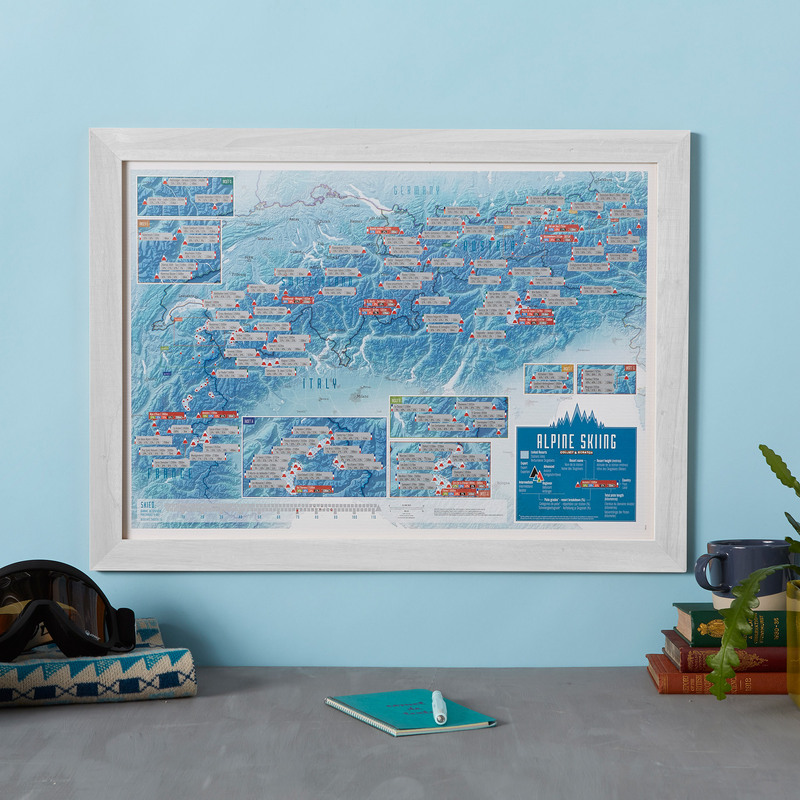 This popular map is perfect if you are looking to add an exclusive fell to your home or office. 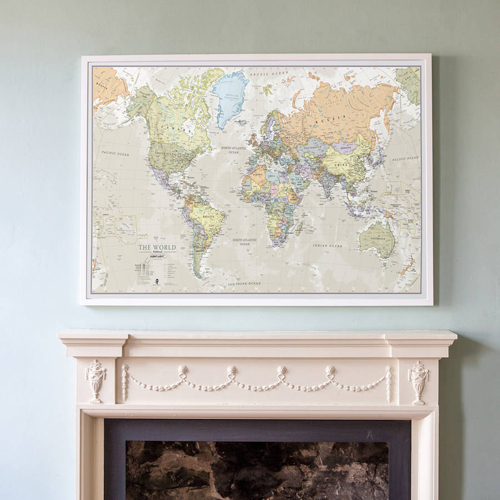 This world classic wall map art also adds a touch of luxury hung in the home, ideal for the more discerning customer. – Wood frame in Teak. 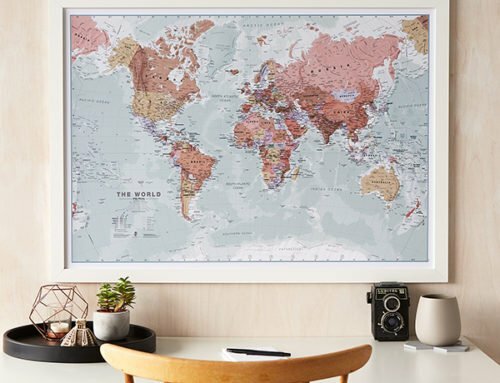 This product is another map perfect for the travel enthusiast. 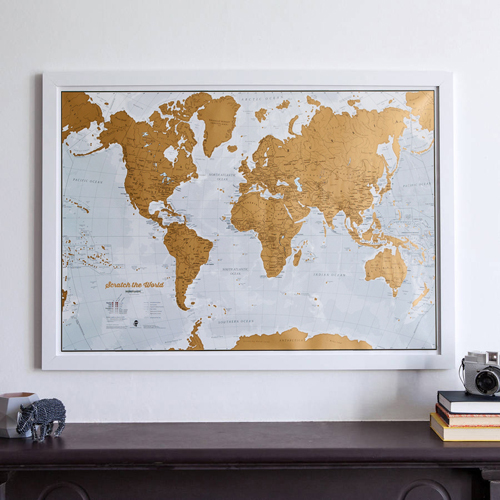 Our Scratch Print allows you to simply scratch off all of your previous destinations, meaning you are creating your very own personalised and ever changing world map. 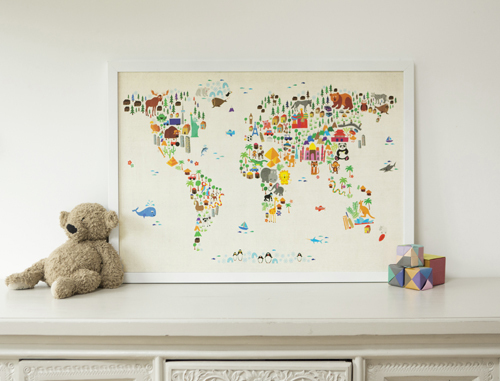 The framed version of the map would look great in a home, especially in a bedroom of an aspiring traveller. The map comes with the option of a white wooden frame. 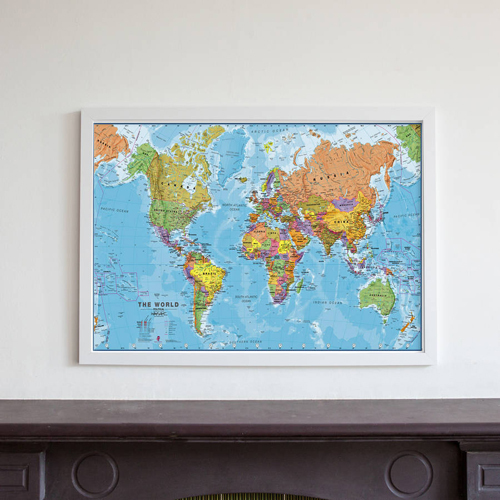 Our range of political framed world maps are simply stunning with their clear and bright design. 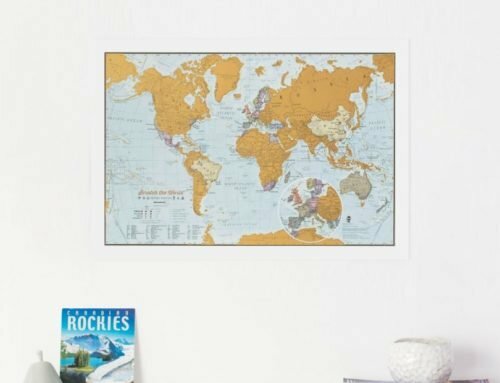 This map features every country in a different colour with all major cities and towns marked, as well as containing hill and sea shading which adds a vibrant effect. Our final map is a colourful and vibrant map of the world featuring animal characters. All of the animals are shown on their home continents. 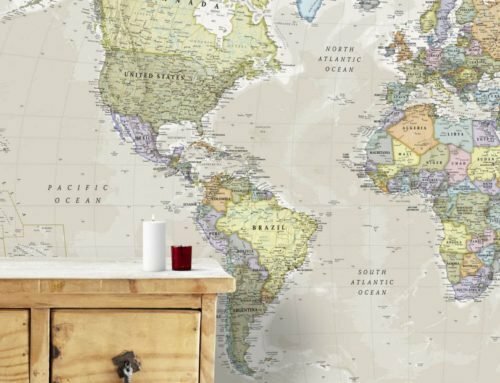 This map would look great in a child’s bedroom or nursery wall and is a fun way to help younger children learn about the world. This map comes in a white wood frame. To find out more about our framed maps and black Friday deals, visit our sale page on Black Friday!